I really love Halloween. When I was a kid and the teacher would ask our class what our favorite holiday was, all the other kids would ooh and ahh about Christmas leaving me, alone, to be the defender of the Great Pumpkin and the most awesome of holidays, Halloween. So of course, as I was browsing the shops of the artists and craftspeople participating in Crafts In Chelsea III I was excited to see items to make you go EEK! Five creepy eyeball flowers crane forward in a menacing stare. I wonder what makes this garden grow? To find out you'll need to stop by PurtyBird. Perhaps the Orange Monster will let you in on its gardening secrets if you ask nicely. Last years event drew record numbers and helped to fund arts programs for PS11. You do not want to miss this event, get out of your mason jar and join the fun along with Kudulah and Myzoetrope. Grab a friend and say hi to the folks at ApertureAgog and RawToastDesign. 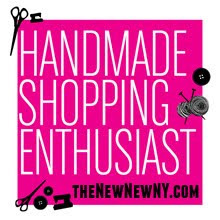 Shop over 100 of the best local New York area artists and craftspeople vending their own unique jewelry, pottery, clothing, fine art and other handmade goods. This event is run in conjunction with PS 11's annual Fall Festival – an indoor event that includes food, arts and crafts, games and more for New York City children. I can't wait! I'll see everyone there! Great post, Holly! Thanks for including my Scary Plant and Orange Monster. Looking forward to a fantabulous Crafts in Chelsea III!